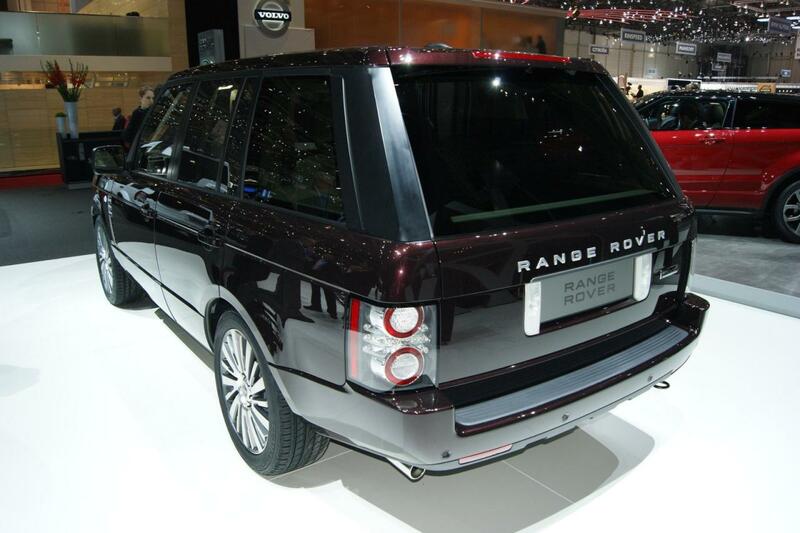 Η Land Rover παρουσίασε στη Γενεύη το Range Rover Autobiography Ultimate Edition το οποίο θα βγει στην παραγωγή σε μόλις 500 μονάδες. 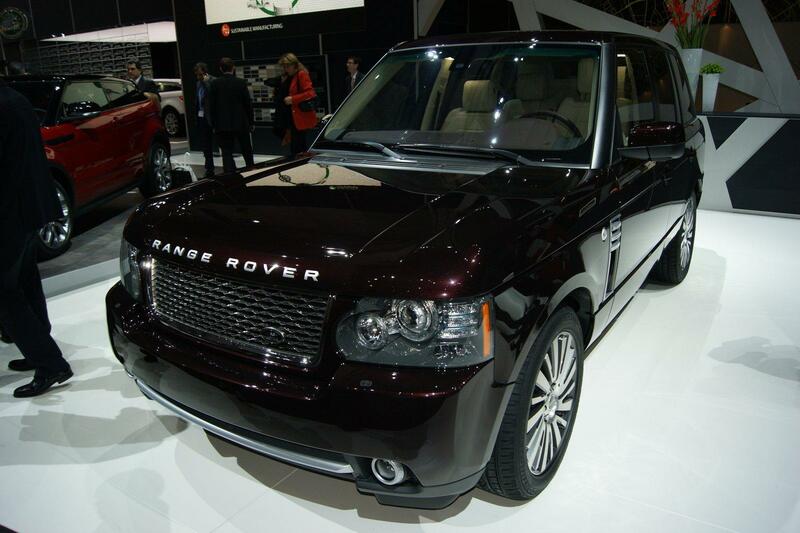 Ως το πιο luxury Range Rover που έχει βγει ποτέ στην παραγωγή, το κάθε ένα από αυτά τα αυτοκίνητα θα μπορεί να δημιουργηθεί όπως το θέλει ο κάθε πελάτης. Το εσωτερικό του μπορεί να μεταφέρει 4 επιβάτες αφού πίσω υπάρχει μια μεσαία κονσόλα με ξύλινα και αλουμινένια διακοσμητικά που διαθέτει ψυγείο ώστε να κρατά κρύα τα ποτά και τα ποτήρια των επιβατών. Φυσικά το 2011 δεν νοείτε ένα τέτοιο αυτοκίνητο να μην έχει οθόνες και έτσι έχουνε τοποθετηθεί δύο Apple iPad. Τέλος το πάτωμα του πορτμπαγκάζ έχει επενδυθεί με ξύλο τικ που χρησιμοποιούνται στα πλοία. Φυσικά το δέρμα και το ξύλο βρίσκεται παντού. Από τα καθίσματα μέχρι τα διακοσμητικά. Εξωτερικά ξεχωρίζει η σκουρόχρωμη γρίλια, οι χειρολαβές στο χρώμα του αμαξώματος, οι ζάντες 20″ και τα ειδικά σηματάκια της έκδοσης. Το αυτοκίνητο θα είναι διαθέσιμο με 2 κινητήρες, τον V8 4.4 λίτρων turbodiesel απόδοσης 313 ίππων με 700 Nm ροπής ή με τον V8 5.0 λίτρων supercharged απόδοσης 510 ίππων με 625 Nm ροπής. Και οι δύο συνδυάζονται με το αυτόματο κιβώτιο 8 σχέσεων της ZF που τους δίνει την δυνατότητα να κάνουν τα 0-100 χλμ/ώρα σε 7.5 και 5.1 δευτερόλεπτα αντίστοιχα. 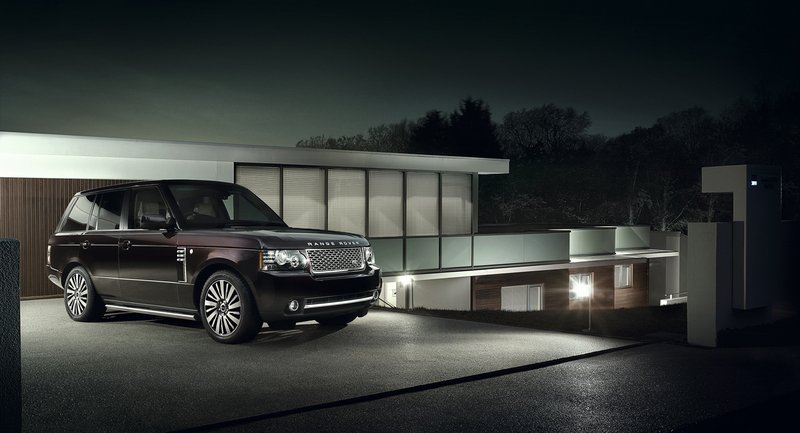 Gaydon, Warwickshire, 9th February 2011, the new Range Rover Autobiography Ultimate Edition, a hand-finished exclusive addition, will make its debut at the 2011 Geneva Motor Show. 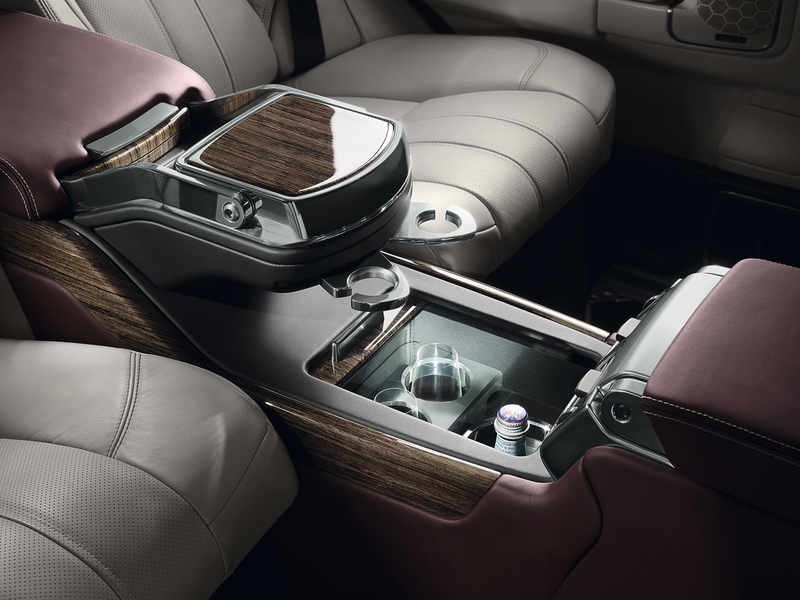 The flagship model adds a handcrafted luxury interior, using specially selected soft feel natural leathers, to an interior renowned for being one of the finest in the automotive world. The driver benefits from the recognisable command driving position offering excellent visibility and comfort, and the rear passengers now experience first-class-style accommodation never before seen in a Range Rover. 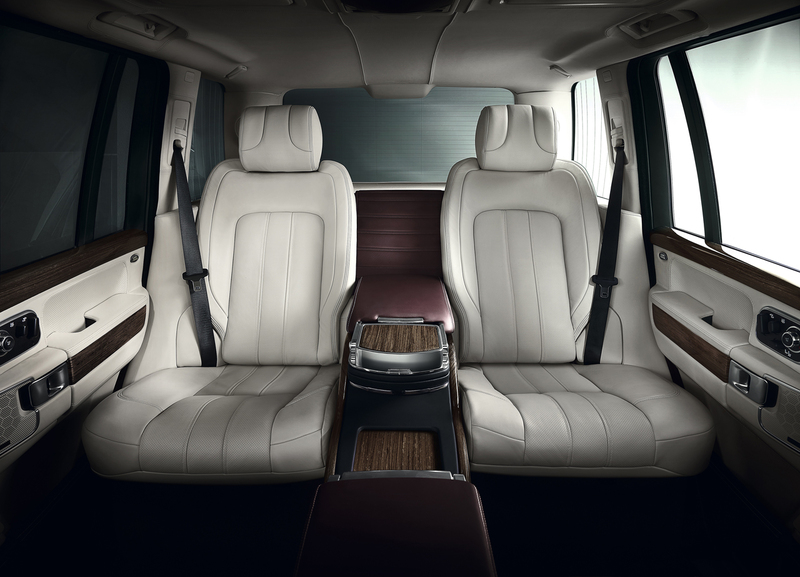 Two stand alone electric rear seats enhance space and comfort for the rear passengers, making the Ultimate Edition the definitive chauffeur vehicle. 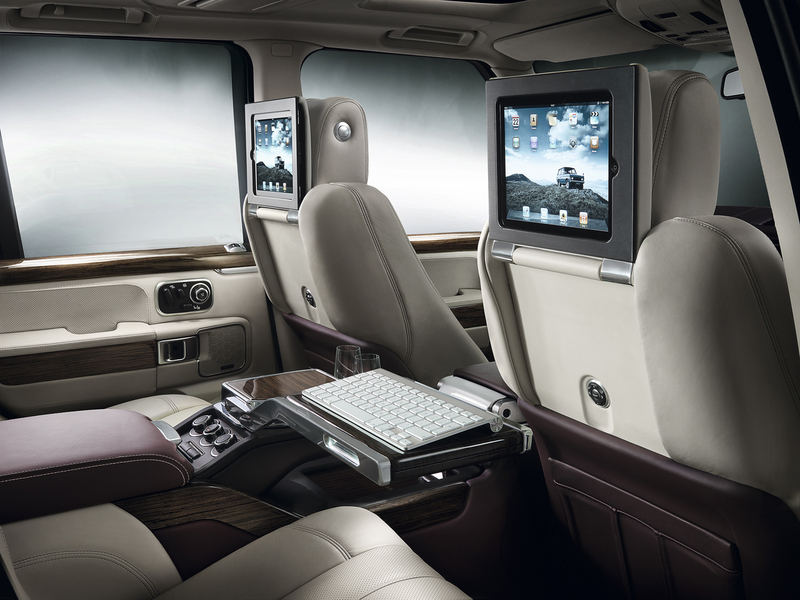 The addition of a rear console extension, including a machined aluminium laptop table and drinks chiller, and two Apple iPads* as standard (the first car to do so), takes the Range Rover rear seat experience to new levels of luxury. 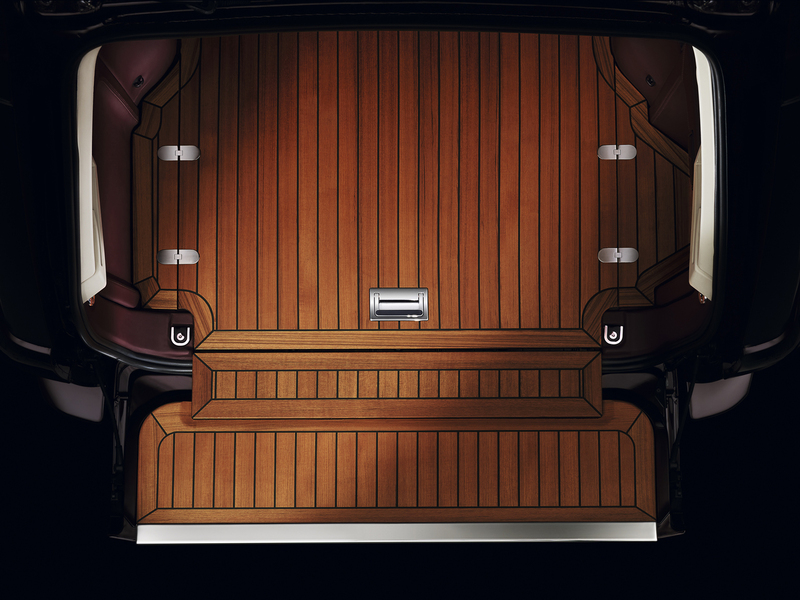 The luxury theme extends to the rear load space, with a super yacht inspired teak floor with metal and leather detailing. The interior story is completed with high-end semi-aniline leather seating and Oxford leather on the door casings, dashboard top and steering wheel. For the first time, Kalahari wood veneers are used on the facia and door top rolls and unique interior colourways of either dark cherry or Arabica are available. 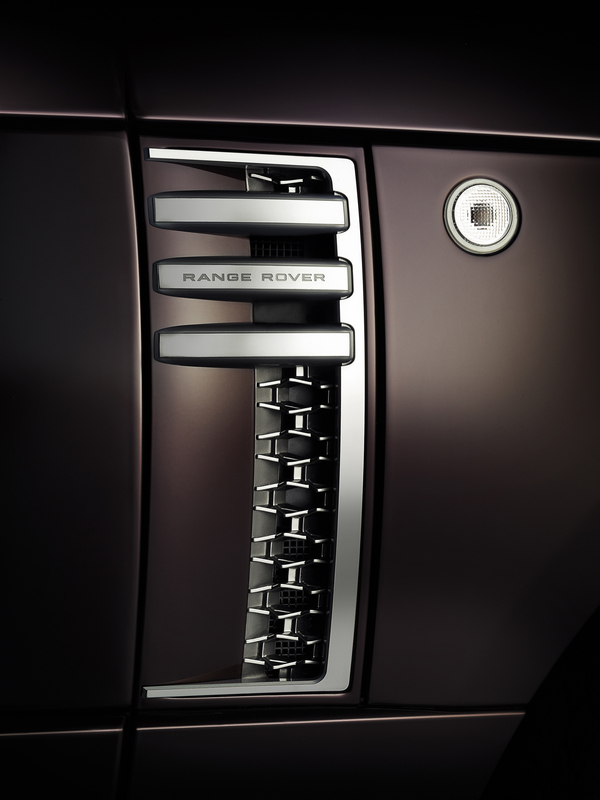 Two new unique exterior colours, either Roussillon Red or Otago Stone, are available along with body coloured door handles, dark atlas radiator grille and side vents to create a sophisticated finish. This Ultimate Edition is fitted with new and unique 20″ multi-spoke diamond-turned alloy wheels, and unique tailgate badging. Customers also have the option of an Exterior Design Pack and deployable side steps. The all-V8 engine line-up includes the superb new 4.4 litre LR-TDV8 Diesel engine with a new eight-speed transmission incorporating Drive Select with Paddle Shift as standard. This LR-TDV8 combines superior power with 313PS, 700Nm torque whilst delivering even lower fuel consumption and 14% less CO2 emissions than its predecessor in line with the stringent EU5 emissions standards. The combined cycle fuel consumption of the new LR-TDV8 4.4-litre is just 30.1mpg, making this the first Range Rover ever to better 30mpg. The 8-speed ZF automatic gearbox tuned by Land Rover engineers to combine silky smooth shifting with exceptionally rapid response and improved fuel economy, catapults the Range Rover from rest to 60mph in a mere 7.5 seconds and complete the 50mph-75mph dash in just 5.1 seconds. The LR-V8 5.0 Supercharged engine is also available delivering awesome power and torque, 510PS and 625Nm, propelling the Range Rover from 0-60mph in a breath-taking 5.9 seconds. Both variants come with Land Rover’s award-winning Terrain ResponseTM system, which optimises the vehicle set-up for virtually all on-road or off-road driving situations, with five different settings to suit different terrains including new Hill Start Assist and Gradient Acceleration Control. This Ultimate Edition was designed, engineered and manufactured in the UK and exclusivity is assured as each vehicle will be built to customer order only. 500 units will be produced and sold in over 20 markets globally. Pricing will be announced by individual markets later this year. *iPad is a trademark of Apple, Inc. registered in the US and other countries.